Tomato plant maturity varies widely by species. Some tomatoes come to maturity as early as 45 days after planting the seeds. Others take nearly twice that amount of time. Most tomatoes are somewhere in between. What a gardener should expect, in terms of length of time, depends on what he plants. Seed packets for each variety state days to maturity. Early season tomatoes are the ones that have the lowest number of days to maturity from the date seeds are planted. These bear fruit in 60 days or less. These tomato plants are physically smaller than some of their later-season brethren. Some early season varieties include Quick Pick (matures in 60 days) and Sub Arctic Plenty (matures in 45 days). Medium season tomatoes occupy the small gap of time between early season and main season tomatoes. These tomatoes mature between 60 and 69 days after seeds are sown. Popular small salad type tomatoes such as Sweet Million and Mountain Belle fall into this category, taking 65 days till maturity. Main season tomatoes take between 70 and 79 days from sowing of seed to maturity and harvest. Typically, these plants are more robust and yield a larger volume of tomatoes per plant than those planted earlier or later. This is why these types of tomatoes are considered “main” season, and why “main” season is not earlier or later than it is. Some main season tomatoes include Celebrity (70 days), Better Boy (72 days) and Supersonic (79 days). These are mostly larger tomatoes and take 80 or more days to go from seed to maturity. 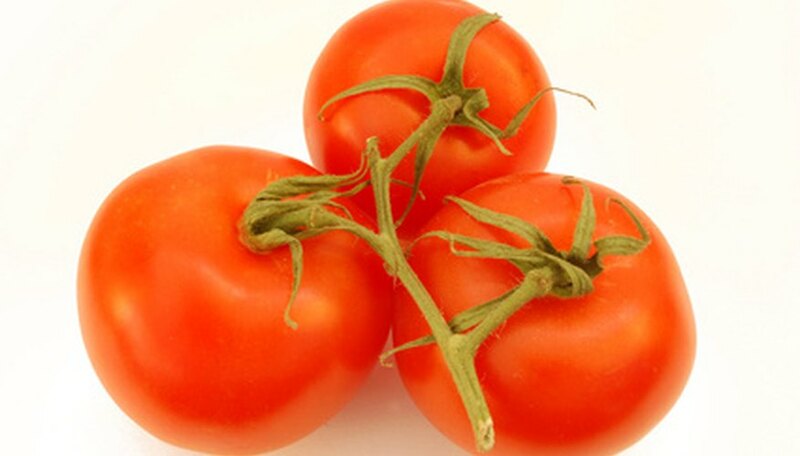 Supersteaks (80 days) and Beefmasters (81 days) are representatives of this tomato group. Golden Boy and Brandywine are non-red tomatoes (yellow and pink, respectively) that take 80 days to mature as well. White Wonder is white, as the name implies, and takes 85 days. Evergreens are greenish yellow even at their 85-day maturity marker. Growing season in a gardener's local climate should always be the primary guiding factor in a gardener's decision to plant tomatoes. Tomatoes need a hot climate to grow, and if an area does not have sufficient warmth for a long enough period of time, they will not grow to their full potential. Gardeners should consult both the United States Department of Agriculture (USDA) plant hardiness zone map and their local cooperative extension office to find out the average length and start/end dates of the growing season in their areas. Choosing tomato varieties for fun and flavor is important, but if they cannot be grown successfully in a given area, they will only disappoint. It is possible to extend the growing season slightly beyond what nature allows, no matter where a gardener lives. Cold frames, cloches, hot boxes and floating row covers are all methods some gardeners use successfully. However, gardening beginners may want to try growing tomatoes known for success in their locality first, before moving on to those in an advanced difficulty level. These methods require time, effort, monetary expense and no small amount of frustration. Gardeners who attempt this type of planting should make sure it is something they really wish to pursue before beginning.